If you are a business owner and don't have your car, van or lorries sign-written then you are missing out on a heap of free advertising every day. We design, produce and apply vehicle livery to your vehicle(s) in a dust free unit to get you on the road with your advertising. 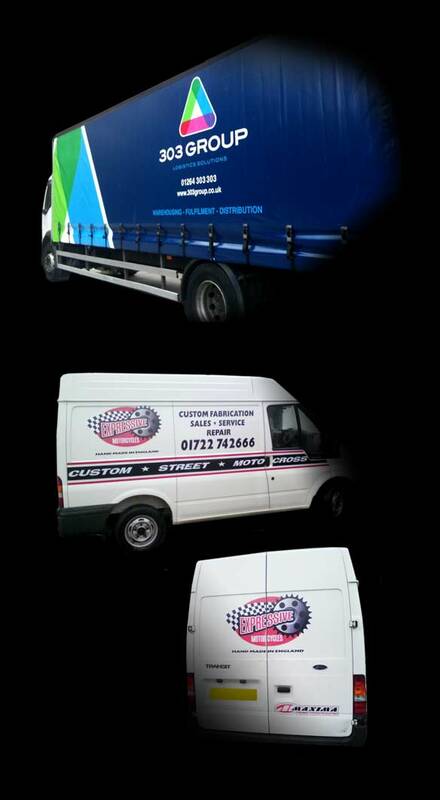 Whether you require a full custom vehicle wrap, a Volkswagen sticker on your campervan, custom printed Moto-X graphics, sign-written curtains made for your lorry fleet, or your logo and phone number stickers added to your car, please contact us for more information as we can work to your needs large or small.